We have cracked the case. 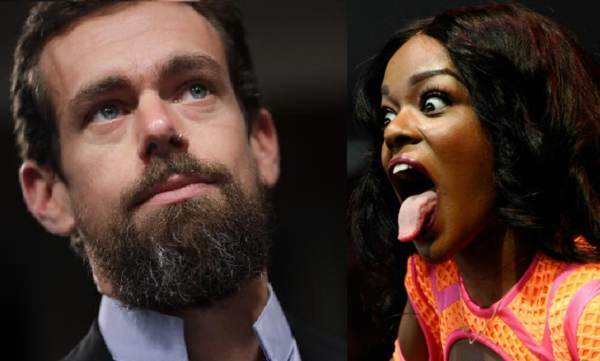 According to reports, Dorsey once sent his actual beard clippings to rapper (and witch) Azealia Banks so that she could use it to make an amulet to protect him from ISIS. Banks has since been banned from Twitter. Prior to her ban, the self-proclaimed witch shocked the internet by tweeting a video of the bloody room that she uses to sacrifice chickens for Brujeria rituals. Unfortunately for Dorsey, SPIN also noted that he never tweeted about her project and therefore it is unlikely he received the amulet. He may just have to settle for a border wall after all. Maybe he should also consider chilling out on banning other people who want to be safe from ISIS, but don’t have friends who practice witchcraft to protect him with beard hairs.